LED Lighting stands for Light Emitting Diodes which is a highly efficient form of lighting that produces great quality light using the most cutting-edge LED technology in the market. They are stylish lighting that not only produce a single color of light but can fundamentally save energy and costs by using up to 10 times less energy while preserving the lifetime of the bulb 10 times longer. They can function for hours and remain cool to the touch, and are energy-efficient and environmentally friendly. We can advise you on where you can optimize your energy and savings costs and see first-hand how quickly you will amortize your investment with the purchase of LED lighting throughout your space. 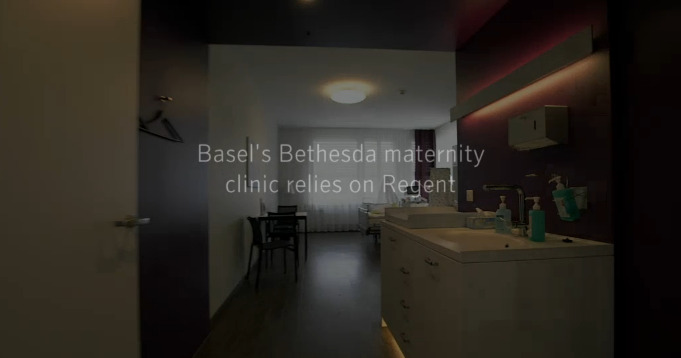 An example of an impressive LED Solution from Regent which radiates light all around, including in an upward direction for the maternity clinic of Basel's Bethesda Hospital.